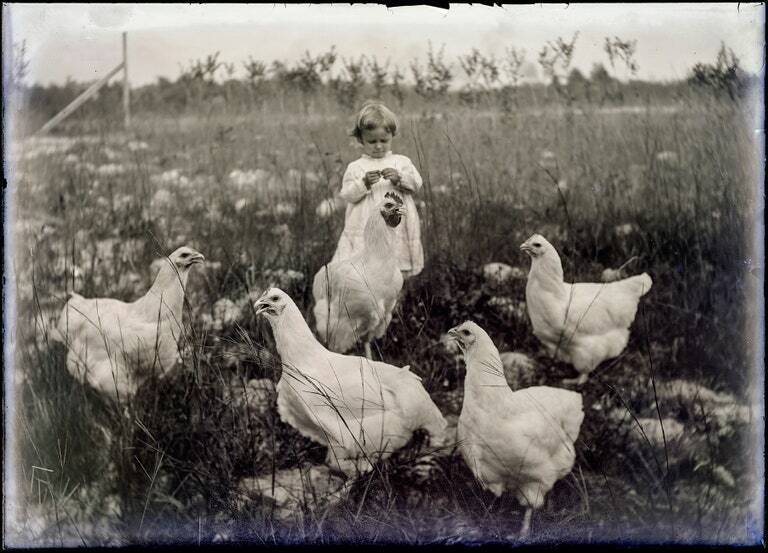 The sitters who moved in and out of Hugh Mangum’s view between 1897 and 1922 smiled, laughed, and daydreamed; they threw their arms around or leaned upon one another; they wore their best dresses and fanciest hats, or they wore coarse cloth and stood barefoot. In an era of racial terror, as Jim Crow tightened its grip on the South, Mangum set up makeshift studios across North Carolina and Virginia (sometimes just a tent outside of town) that were open to white and black sitters alike. A gangly white man with an appealingly unkempt mustache, Mangum often used a Penny Picture camera, designed to capture up to thirty exposures on a single glass plate. 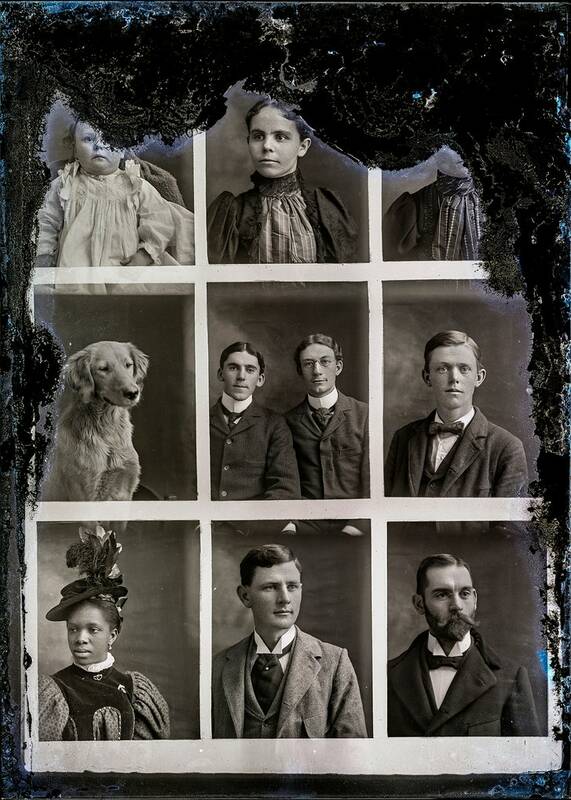 Sitters would line up and take their places in front of the camera; Mangum would charm and cajole them, shifting the plate a little bit for each new exposure. 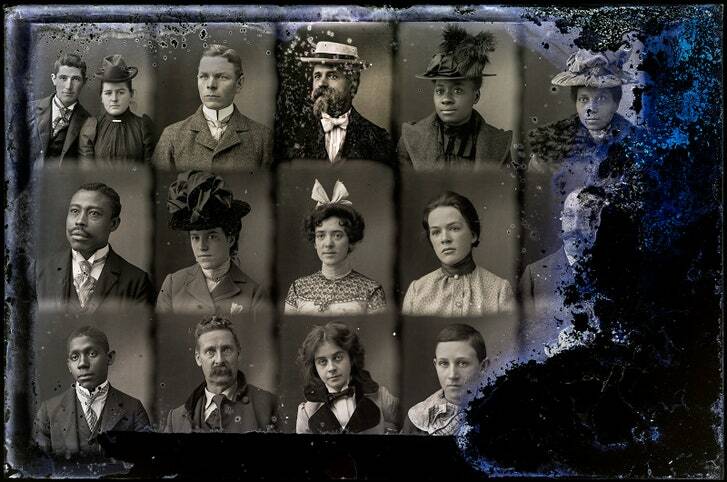 The result, inadvertent but still provocative, is a record of how much daily life and experience was shared by the people whom racist American custom and law treated as separate. Photograph courtesy the University of North Carolina at Chapel Hill. Contemporary viewers who are more familiar with the era’s stiff portraits might be shocked at the variety of gestures and facial expressions that Mangum’s images capture. 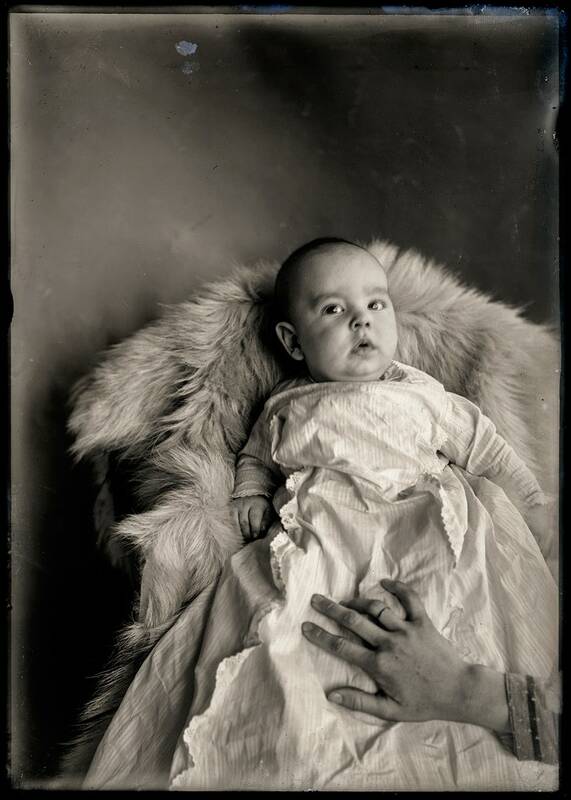 The stuffy quality of much early photographic portraiture was part technological—given limitations related to lighting and exposure—and part convention. 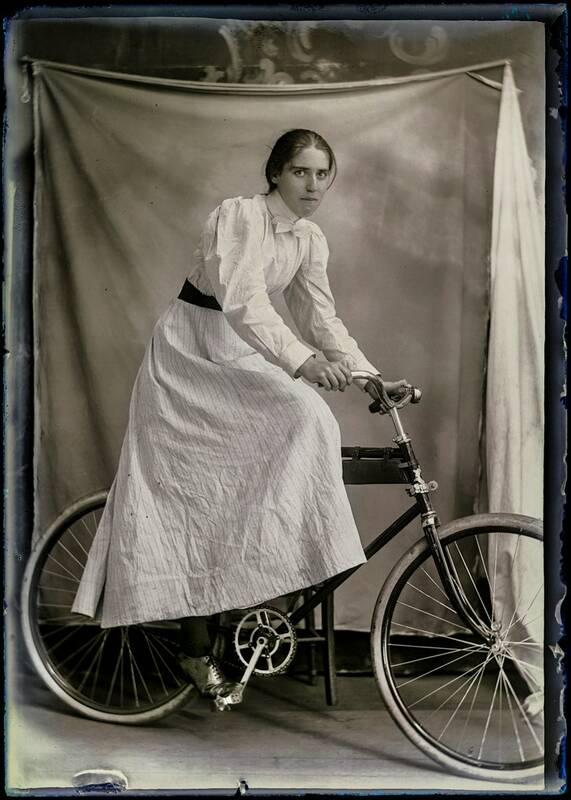 Even after the turn of the century, many portrait photographers continued to use the tools and props more common to earlier, nineteenth-century photography: chairs, backdrops, and holding stands, sometimes referred to as “immobilizers,” which kept sitters still for the camera. 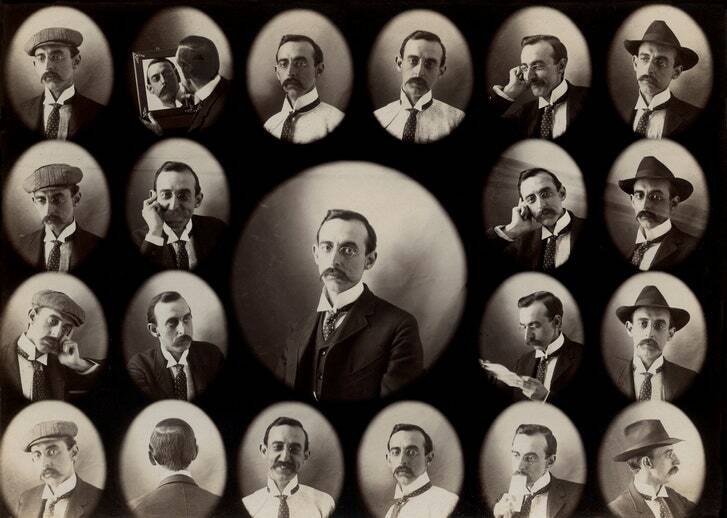 Idiosyncratic expression was rarely the goal of either photographer or sitter. Mangum’s portraits, however, also record things that neither he nor his sitters could have intended. 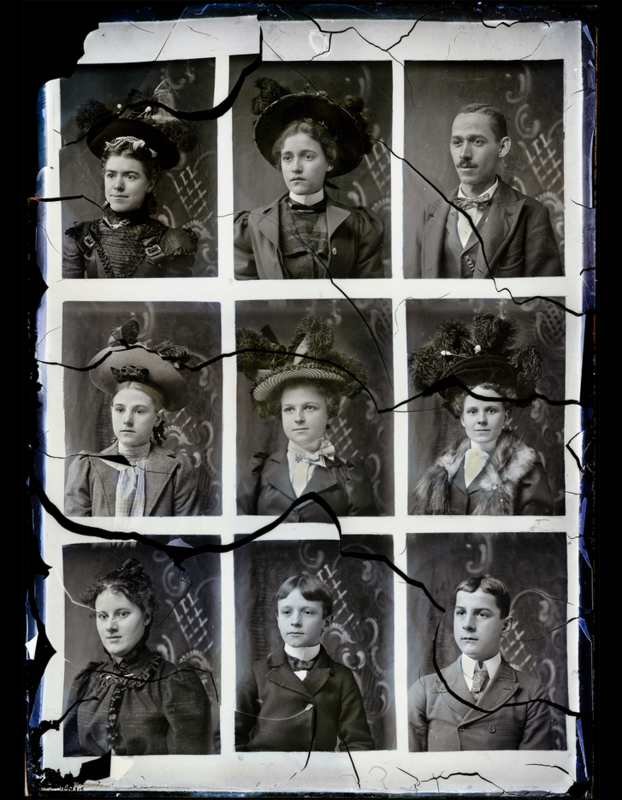 Many of the poorly conserved glass-plate negatives are significantly degraded: cracked, with corroded or flaking emulsion, and often fused together. 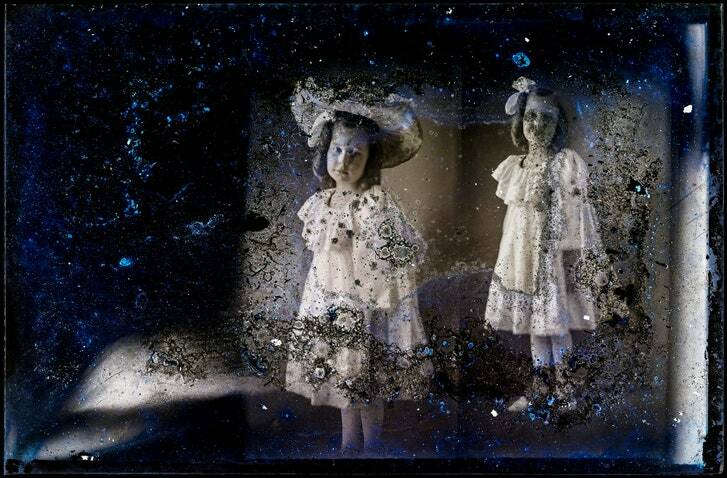 The imperfect prints made from them remind us of how fragile our access to the past is, and of how much of daily human life gets lost to history. 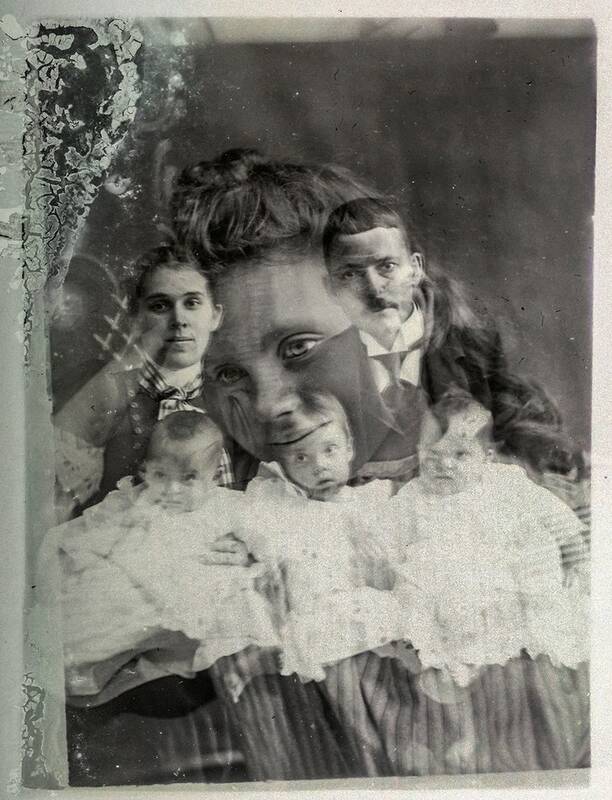 What’s more, the portraits are often accidentally double-exposed, and many of the double exposures overlay images of white and black sitters, who suddenly seem to sit alongside or even atop one another. 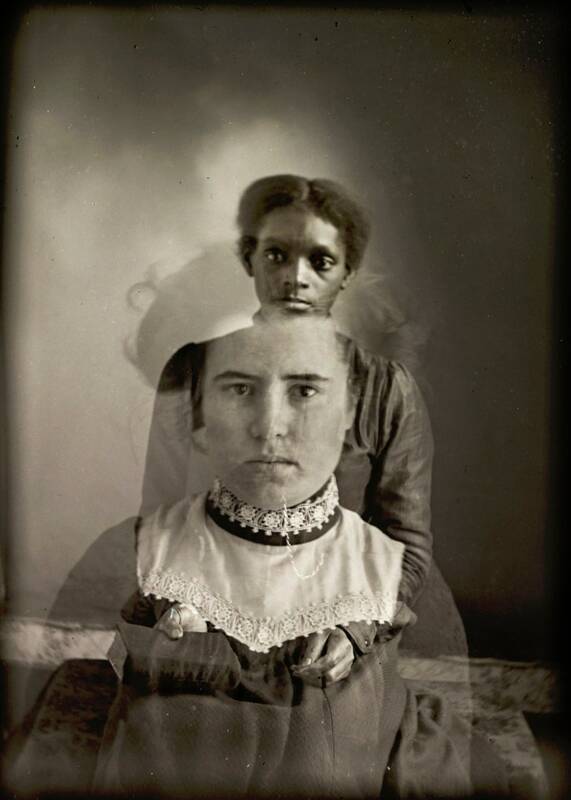 Such ghostly interactions produce from two Mangum portraits an entirely new image altogether, one in which the pride and pleasure of self-presentation is shadowed by the racial realities of the time. In 1903, addressing Jim Crow and segregation, W. E. B. Du Bois famously declared that the problem of the twentieth century would be the problem of the color line. 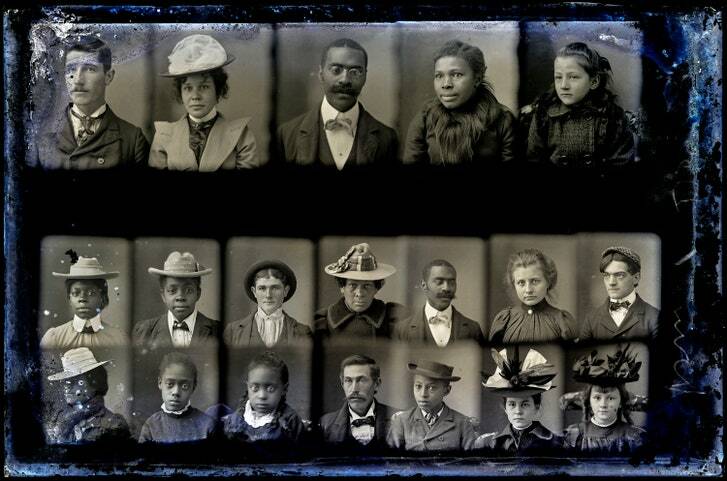 In both his writing and his lesser-known work as a curator of photography of black life, Du Bois often framed American racism as a visual problem. 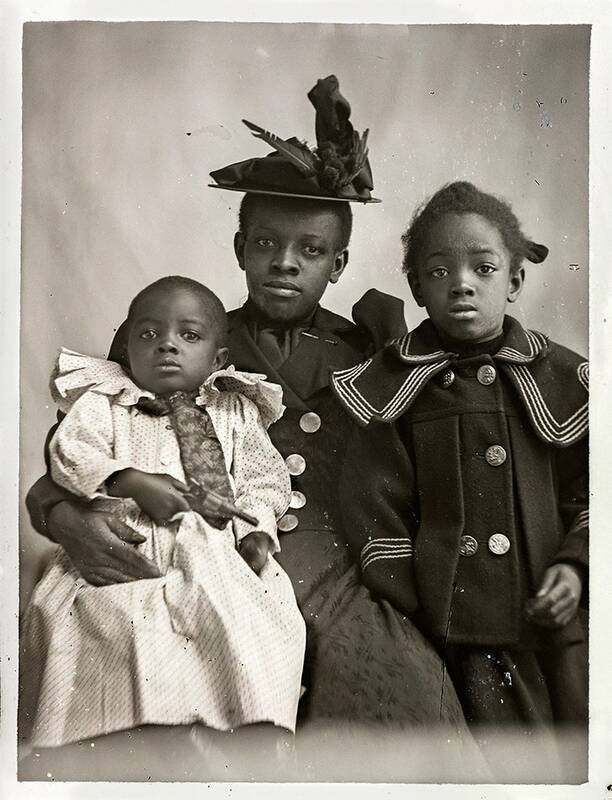 In this, he extended the work of nineteenth-century black thinkers such as Frederick Douglass, who quickly recognized the power of photographic portraits to represent black peoples’ full humanity. 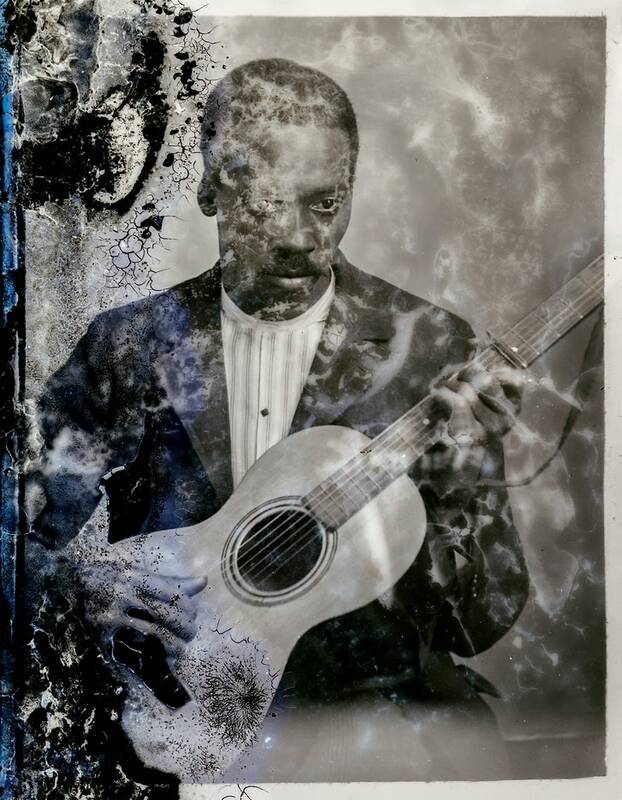 Yet, despite this rich intellectual tradition—and the aesthetic achievements of early black photographers such as Augustus Washington and Richard Samuel Roberts—twentieth-century historians mostly wrote black people out of the picture of early photography. If Hugh Mangum’s joyful, elastic, democratic, and slightly strange portraits feel fresh and unusual to us today, that’s because they are. But it’s also because we haven’t always been given the chance to see the past clearly.